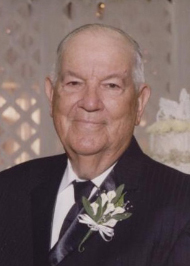 Ernest “Coony” Sonnier, Sr., 91, of Port Acres, died Saturday, January 26, 2019, at The Medical Center of Southeast Texas, Port Arthur, surrounded by his family. He was born September 24, 1927, in Nederland but raised in Jennings, Louisiana, by Rosa Vincent Sonnier and John Ferdinand Sonnier. Coony was an outdoorsman that loved doing yard work and cutting grass. In his words, “it’s never too hot to cut grass.” He enjoyed spending time at his camp at Toledo Bend, traveling, and riding his John Deere lawn tractor. He was also very proud of his Cajun heritage and loved to listen to Cajun music. He never met a stranger and enjoyed visiting with anyone. He enjoyed his work as a painter for J & L Steele and Courtland Corporation for over thirty-five years. Most of all, he loved to be with his family. Survivors include his son, Ernest “Cookie” Sonnier, Jr., and his wife, Jane, of Fannett; daughter, Dianna Wright and her husband, Richard, of Port Acres; grandchildren, David Sonnier and his wife, Kristi; Jerry Sonnier and his wife, Misty; Debbie Henry and her husband, Jeff; Karl Wright and his wife, Traci; Jeffrey Wright and his wife, Stormy; and Deidra Mayer and her husband, Brad; fifteen great-grandchildren; and brother, Clesma Sonnier, of Port Acres. He is preceded in death by his parents, Rosa and John Ferdinand Sonnier; his wife of sixty-five years., Leatrice Sonnier; four sisters; and one brother. A gathering of Mr. Sonnier’s family and friends will be from 4:00 p.m. until 9:00 p.m., with a Rosary recited at 7:00 p.m., Tuesday, January 29, 2019, at Broussard’s, 505 North 12th Street, Nederland. A Mass of Christian Burial will be celebrated at 10:00 a.m., Wednesday, January 30, 2019, at St. Therese, the Little Flower of Jesus Catholic Church, 6412 Garnet Avenue, Port Arthur, with interment to follow at Greenlawn Memorial Park, Groves. Memorial contributions may be made to St. Therese Little Flower of Jesus Catholic Church, 6412 Garnet Avenue, Port Arthur, Texas 77640; or to any charity of one’s choice. To Cookie, Dianna, and all of the family: My prayers and thoughts go out for you. May you get some comfort in knowing how many lives your dad touched and how many people thought highly of him. God bless you. So sorry for your loss. A wonderful man. He will be missed. Cookie and Jerry,, cherish the memories. My prayers and love are with you guys.